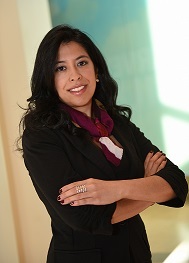 Stacey Guillen currently serves as Manager of Operations for the Oncology Program and Joan Katz Breast Center at Baylor Scott & White All Saints Medical Center - Fort Worth and is a member of the Executive Oncology Advisory Board for Baylor Scott & White Health System. In this role, she currently oversees operations, marketing, strategic planning/analysis and business development for the oncology program. A graduate of Cornell University, Stacey earned her B.S. in Development Sociology and Communications. While at Cornell, she was founder of Gamma Phi Chapter of Lambda Theta Alpha Latin Sorority, Inc., and Texas leader for their Alumnae Political Education Initiative. She has served on the Alumni Board for Class of 2006 and recently accepted to the President’s Council of Cornell Women. Stacey also served in the board for the Cornell Alumni Association of North Texas from 2011-2013. In addition, she earned her masters in Health Care Administration from the University of Phoenix in partnership with Memorial Sloan Kettering Cancer Center. Stacey truly enjoys being involved in the community. She is a true health advocate as she is currently involved with a Community Health Improvement Plan in partnership with Tarrant County Public Health Department. She hopes for Latinos to see a future of wellness instead of illness, through prevention and promotion of a healthier lifestyle. After her father passed away in 2014 of a heart attack she is completely devoted to impact heart health in diverse communities. Martha has volunteered and worked with the Vestido Rojo initiative since the first one held in Fort Worth. She has been involved in both Dallas and Fort Worth as a chair for Madrinas, collaborator, presenter and MC. Martha’s community involvement included being certified as Community Health worker, Secretary for the Hispanic Wellness Coalition Executive Board, Chair of the Senior Signature Series for American Diabetes Association, Chair of Harvest Fest Community Health fair in Dallas. 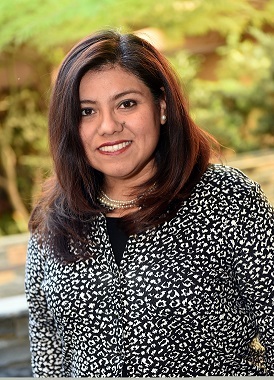 She holds an Associate’s degree in Arts/Science from Richland College, a double Bachelor’s degree from UT Arlington in Spanish and English, MBA from Texas Women’s University. She has been recognized as volunteer of the year for Hispanic Initiatives and African American Taskforce by American Diabetes, as a Litsey Scholar by UT Arlington, as a distinguished alumni by the Dallas County Community College District for her Leadership, Mentoring and Community work. "I am happy to volunteer with American Heart Association and support the fight against heart disease through advocacy and education on healthy living. 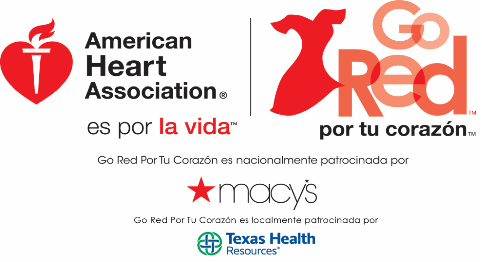 Vestido Rojo is an important community event because it provides women education, access and support on heart disease prevention and it empowers to help other women through the Madrina program." ¡Usted en un vestido rojo! You in a red dress!